The main barn hosts twenty-three 12×12 matted stalls, heated tack room, indoor wash stall with hot & cold water and a state of the art 80×180 lighted indoor arena. Independence Farm is family owned and we live On-Site. We are dedicated to providing the best care possible to every horse that lives on our farm. 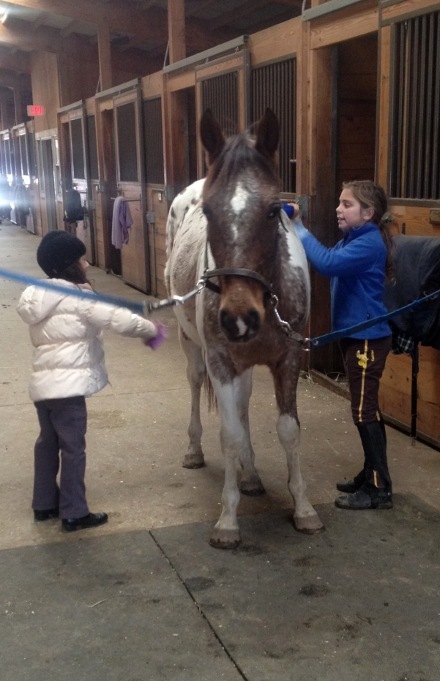 Our routine is followed each and every day and all horses are cared for based on their individual needs. We provide individual and group turnout options on nearly twenty acres. Every horse gets turned out every day unless weather prohibits. We have 2 medical paddocks for rehabilitation purposes.